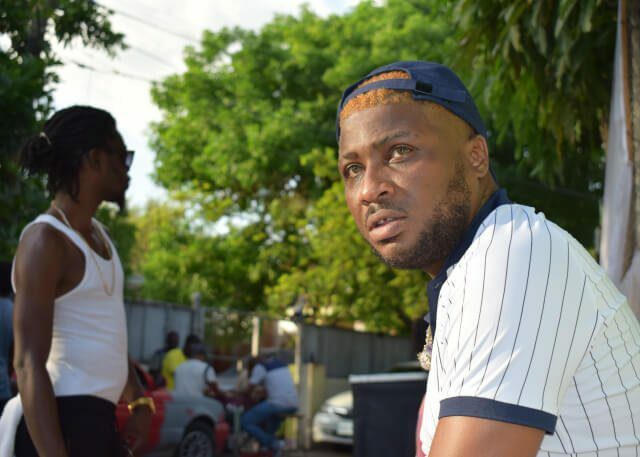 Born Jacob Williams in northwest London to a Jamaican father and Dominican mother, Gappy Ranks always knew that he was destined for musical greatness. Devoting much of his time to writing during his formative years, music allowed him to overcome all obstacles in a path to stardom that was not always clear. Making his studio debut with the Ruff Cut Band at the young age of 11, Williams later joined Stonebridge stars Suncycle Crew alongside childhood friend Reddman. His recognisable moniker is a homage to dancehall legend Cutty Ranks that cheekily references the gap between his two front teeth. After dropping 2 albums with the Suncylce Crew (“Suncycle” and “I am Somebody”), Gappy left the collective in 2004 to pursue a solo career. 2005 was the year Williams broke out as a solo artist, first in the UK reggae scene by winning the ‘Best Song Award’ at London’s Silk Awards for ‘Little Understanding’ produced by Stingray Records, and second in the mainstream arena with major airplay of the Kray Twinz single ‘What We Do’, featuring the artist alongside US rapper Twista and grime titan Lethal B. The track charted nationally in the UK, leading him to perform for an unprecedented crowd of 17000 at the first edition of the KISS 100 Awards. A man of many talents, Williams was drawn away from performance and towards other creative pursuits as he became an assistant engineer for North London reggae giants Jet Star Records. Access to the studio gave him an opportunity to evolve as an artist, leading to a chance meeting with UK producer Chris Peckings. Together they created a piece of UK reggae history with the now-classic record ‘Put The Stereo On’, a success that bridged the gap between classic and modern reggae, leading a nomination for ‘Best Reggae Act’ at the 2010 MOBO Awards. The resounding success of singles such as ‘Heaven In Her Eyes’ and title track ‘Put The Stereo On’ led Gappy to perform far and wide as he embarked on tours throughout the UK, Germany, Switzerland, France, and Italy. 2014 saw Gappy link up with grime legend P-Money to collaborate on eight track EP ‘The Baddest’, recorded at Red Bull Music Academy in Auckland. The EDM-influenced title track saw heavy support from reggae and hip-hop DJs worldwide and is still rinsed in clubs to this day. In 2015, the artist returned to his roots as a sound system addict, creating his own soundsystem (‘Sound Gappy’) and collecting over 1000 dubplates to feature on his regular slot at London station Real Beat FM. One of the UK reggae scene’s most prolific artists, Gappy Ranks has proved over his extensive catalogue that he can ride any type of riddim. Credited as one of the artists to open the door for other UK-based Jamaican acts such as Stylo G, Randy Valentine, Christopher Ellis, and Don Andre, the artist has made untold contributions to the growth of a vibrant UK reggae and dancehall scene, taking the genre across the globe to perform on some of the world’s biggest stages. With the release of his eighth solo project ‘Pure Badness’, focused on pop-influenced contemporary dancehall, Gappy has shown himself to be an artist that constantly evolves, showing no sign of stopping on an extraordinary journey that isn’t likely to end anytime soon.